Resolved: Millennials are the worst of all possible generations, and I say that as a baby-boomer (by a week). Unconvinced? Then check out one or both recent documentaries on Hulu and Netflix about their generation’s Woodstock, the infamous Fyre Festival, and watch how thousands of credulous millennials got suckered by social media “influencers” – actors, rappers, models, whatevers – who talked them into plunking down enormous wads of cash to attend a fabulous dream concert/party/rave in the Bahamas. 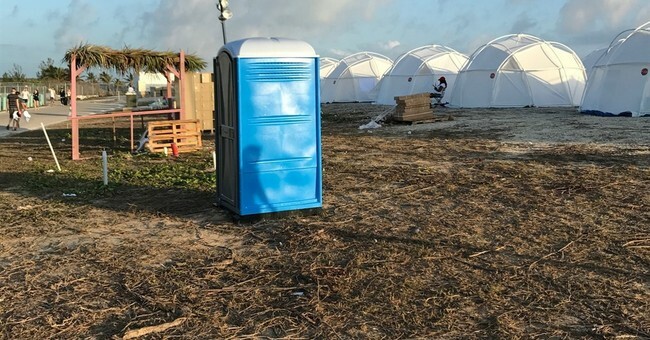 The ads promised hot models frolicking, exciting musical acts like “Major Lazer” and whatever a “Migos” is, luxe accommodations, and gourmet food prepped by acclaimed chefs. What they got was drunken dudes and dudettes from the cargo shorts ‘n backward cap set, no tunes, moist FEMA tents, and famously forlorn cheese sandwiches.